The Human Resources management in the hotel industry is a particularly combinatorial professional category. Throughout the winter trainings take place that re-instrumentalize technically and emotionally the relationship of the employee with the brand; the autumn months are the months of the reward and the celebration of the human resources with parties where money for charities are collected and sundry celebratory events are organized; in the spring, experiential activities that renew emotionally the human resources towards the corporate culture take place while the preparations for the summer resemble the final preparations of the local grandmother to welcome her grandchildren at the village for the summer. So beautifully Greek. 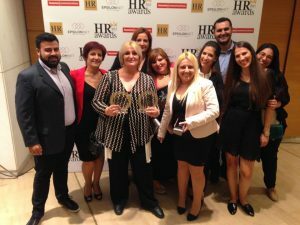 Mrs. Elena Gkika, the Director of the Human Resources Department at Costa Navarino, leads this enviable HR story, being one of the leaders who manage to create groups and organizations of which we all want to be members. As she herself ascertains, the very idea is to create more cases of surprise in the hotel landscape, not only for the guests but also for the employees. This is also her personal mark in Mr. Constantakopoulos’s vision, a personal mantra that she devotedly serves at every turn and facet of her majestic work. Having 19 years experience in Human Resources Management of 5-star hotels and resorts, she is an expert in hotel openings and change leadership, commits herself to delivering results through the engagement of the employees with the organization, the service quality and the consistent experience orchestration, always within a background of demanding and top-class working environments. 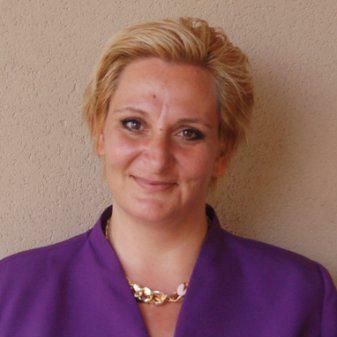 Her career at Costa Navarino commenced in 2009, when she was hired to initiate and plan the strategy of the HR department of the resort for two Starwood hotels with a total capacity of 766 rooms, a convention center of 2,000 people, a 4.000 sq.m. Thalassotherapy-Spa and two signature golf courses with championship standards. Today, having recruited 4,500 candidates- employees and having hired 1,300 associates with the multifarious activities that such a challenging endeavor enfolds (education, accommodation, transportation, medical coverage, efficiency evaluation, increase of the employees’ happiness index and their productivity etc. ), Mrs. Gkika discussed with me about this multifaceted reality and she expressed her truly innovative and insightful views. The HR department of Costa Navarino takes over expanded activities and despite this high sharing, the employee is always the most important wealth, the growth medium, the raw material and concurrently the ultimate goal. There is the example of Martin Sorrell, a leader- figure, typical for the interpersonal relations that he forges with his employees; he knows and remembers his personnel of about 2,000 with their names, while his excellent memory accommodates him to remember details of their personal life, that’s why he all too often poses friendly questions to the staff («How’s your little son at basketball?» or «All is good with the health check up of your wife yesterday?»). Exceptionally special is your own example too: You have embraced a «management by walking» policy with which you lead people in their natural space and their working environment and not impersonally and statically an an office, or with your «Contact-Open Door» with which every employee is more than welcome to approach you whenever he wants. Please tell us about this personalized philosophy towards the human resources of the hotel and the extroverted structures of the personality of the HR department? The personalized attitude towards the employee is pivotal to us at Costa Navarino, it is of great magnitude and the personalized approach of both the guest and the employee are two things that we cognize as interrelated: Our client feels that he receives personalized service, only if our employee feels that he is treated in the same way. It is neither a technicality nor a tangible product; it is what the employee himself gives with his guest service. So the employee is the first who needs to realize and experience himself what personalized service and individual treatment means. The last thing, therefore, that we would like and we should do, would be to treat our colleagues as numbers. This is our principle. We treat each employee personally, as a separate, distinct personality and we try all our policies to be aligned in this direction. This applies to the way we reward, the way that we recognize good performance, the way we face each problem or each request or any question that the employee wants to raise and discuss. Even with the personalized mentoring that we provide to our colleagues, we aim to make every single employee feel how this personalized service feels and what means to be treated as a unit. You have a very interesting point and, I think, it is also the most effective way for an employee to internalize the brand values and then distribute them in a story form to the customers. My next question is about the Coaching and Training. There are continuous trainings taking place for the cognitive restructure of the employees. Through them they both re-calibrate their technical skills and update their principles for the service culture in this challenging background of the provision of excellent hospitality. The company, what is more, is a pioneer since each training conducted is experiential. Employees learn to work with an emerging strategy, namely with ideas and behaviors that ensue from a creative process. So , what does this training include ? You put it very aptly; it is true that we do encourage the staff to try, we encourage them even to make mistakes so that they can experientially find out and on their own what ultimately delivers better result in each case. As we talk about managing people from both sides, in terms both of the employee and the customer side, you cannot have very fixed norms concerning how we should tackle and manage every situation. So, there is not a strict guideline pertinent to what we do in every case, how we deal with the complaints etc. There are some basic steps and thereafter we adapt appropriately to each case. So it is of paramount magnitude that every employee becomes creative and develops his own initiatives and his own ways of communication with every guest each time. And this is a perspective that we promote from the very first day that we start the training program every year, which begins with the annual Manager Workshop where all the company managers gather before the opening of the hotel in order to exchange ideas, brainstorm, give information for the next year and simultaneously give the mark regarding how the training has to be oriented. The training therefore starts with the Manager Workshop and then is continued every day with each new employee that comes to our resort. The base is the Induction, which is partially online-digital, partially experiential and partially actual in real life situations on the object of everyone’s job. 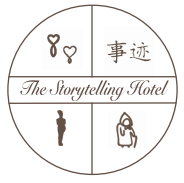 In all these stages, what we promote is how every employee can develop empathy and ways of communication, how he can achieve engagement with the guests with his personal lens and style, within the framework of an always impeccable service in order to reach our goal: to create emotional connections with our customers and not just a typical interaction. Our penultimate goal is to forge a substantial relationship between the employee and the guest. The emotional connection distinguishes the great experience from the exceptional experience. 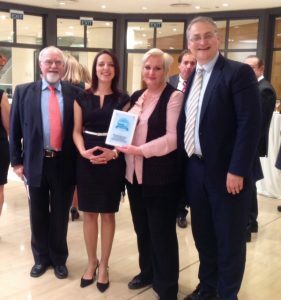 A special role in the reality of the HR management at Costa Navarino assumes the mentoring. 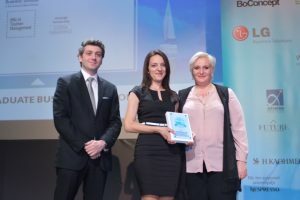 A mentor is attributable to each employee, taking care in a personalized way of his personal development, promoting individually his incessant self-improvement, inspiring a better self-management and preparing him ultimately for the challenges of the modern working environment within and outside the brand. Thus, a disposition is manifested for mutually enriching interactions between the company and the employee. I would like to tell us more about this very interesting aspect. It is of cardinal importance that each employee builds his own personal brand. And I think that through all the procedures we encourage this and we help the employees, at least to the extent that they themselves want to participate in such efforts because mentoring is not something mandatory. The mentoring requires self-commitment. It requires the initiative from the side of the employee. We are there, there is the institution, there is the availability but beyond that you cannot drag someone into a mentoring process. He should commit himself to this type of interaction and through this he is aided to develop and own his personal brand, to see himself as he would like to be and build himself into such a perspective. In such an environment and through the goals we have set and regarding what we want to achieve in terms of how we are committed to our guests, there could not be an alternative way. The reciprocally enriching exchanges are one of our fundamental values. Another practice that you have adopted in the department that you lead is a change from the feedback to the feedforward, the latest trend in coaching, that through questions rather than criticism and by always emphasizing the positive aspects of the employee, the employee is endorsed to assess himself. How do the hotel employees react to this different mapping and evaluation of their evolution within the organization? This is something that will be further developed in the coming years. We already implemented it experimentally in 2015 and 2016. The response we received was excellent. In personal coaching sessions that I conduct, I deduce that every day a new way of thinking and a new mode of action of working is formed. The most important thing in this effort is not to start it in order to solve a real, existing, ongoing problem, but to commence with the aim to build such a relationship with the employee that will accommodate him to cope with what will come, the challenges that he will face, and also to find ways to achieve his own aspirations, both professional and personal. So we could say in a way that it has a proactive character. Exactly. There lies its greatest value: how it can work proactively. When the coaching works in the sense of correcting a behavior or a condition, it always enfolds a seed of criticism or blame, namely something went wrong and we have to sort it out. I do not reject this approach; in some cases it is certainly indispensable. However, the kind of coaching that we embrace as a concept and that we want to develop further is all about acting proactively and create pre-conditions that may protect the employee from situations that he will need to solve a problem or rectify a behavior. Another element on which you ascribe great importance is the teamwork. The teamwork is of paramount priority for us, despite having a total of 54 different administrative departments, so the teamwork is rather challenging and requires great effort. It is achieved through various team activities, ie. events, celebrations, trainings, cross-trainings. In this way we are able to promote the awareness that each of us is the essential link of a chain where there are not redundant links. I think the most important of all is the will; is to have the enthusiasm and the eagerness to give your soul, to love what you do, to love the story to which you are welcomed and to promote this story. This was our priority from the very start. When we started manning the property, I can tell you that we did not use resumes in the 80% of the recruitment procedure. The interviews were conducted without CVs in our hands, since what interested us was to find the people with the right attitude and having obtained this first quality, we could then train and develop them.